Udyam, CSR cell of NMIMS, Bangalore, conducted its annual event Udyam Cup: Play for Accessibility on March 6, 2016. The exciting event was organized in association with Lakshya, the sports arm of NMIMS, Bangalore. 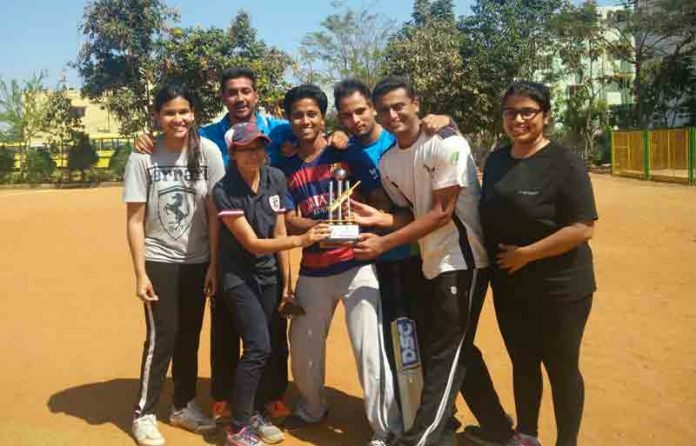 The third edition of Udyam Cup was planned for raising funds for the NGO Samarthanam Trust through one day cricket tournament. The NGO aims to create a society free of discrimination against the disabled, where people with disabilities, especially the visually impaired, enjoy equal opportunities. The cricket matches started in the morning at Karnataka Youth Cricket Academy. On that day, all the challengers fought for the prestigious Udyam Cup. And, in order to support this noble cause, alumni friends from the PGDM 04 joined the teams this time. Total eight teams with 7 members in each team participated in the tournament. All these teams played well and raised around Rs. 8000 for the NGO. At the end of the day, team Spartans won the Udyam Cup. Aditya Kohli and Priyanka D’costa won the best player (male) and best player (female) awards. Gaurav Lal and Ruchika Bairagara were also recognized for their efforts. Owing to the whole-hearted contribution of the NMIMS students, Udyam Cup was a successful event. The event was started in the year 2013. Simply put, it is a cricket tournament but with a noble twist. All the contributions are pledged to an NGO.